WB have confirmed the project now. I hope at this point, the Origin stuff is well established between Nolan's films and BvS, so we can skip it in the new Batfleck movie. No ish. Move onto a good BATMAN story. Something we have not seen on film. I hope they can keep Jeremy Irons for this to. I like his take on Alfred. If he gets his solo Batman film, I hope we get a movie with more mafia based villains (Black Mask, Scarface) or one of the more iconic ones like Riddler. That said, I'd love to see Clayface on the big screen for the first time. Killer Croc, ManBat, and Firefly are also villains I'd love to see on the big screen. Definitely. I think anyone that is ever going to see a Batman movie is well versed in his origin. Batfleck is also older so who cares. Would love a villain not used before for live action. The one thing I was hoping from BvS was Thomas Wayne, in Zack Snyder fashion, beating the hell out of several armed robbers in slow-motion before finally succumbing to death. I was actually kind of let down that The Comedian went down so easily. The more I think about it, the more I like the idea of Black Mask getting used. I basically want a villain with henchman that will allow for fight scenes like the ones in BvS. Especially when Batman rescued Martha. The other flip side of that is to do something completely different. Maybe use ManBat to give the next Batman film more of a horror movie feel. Could make for a solid October opening. BvS Batman seemed to have a lot of Thomas Wayne in him now that you mention it. The Nolan batman films are just too recent and good in my mind for a retelling if they do this. If they continue Nolan's work it just gets weird too. I love me Bats more than any other comic but if I see another movie on how he became the bat I think I'll puke. Now I get all the comic history stuff and wanting to be "faithful" to the character and bringing back certain villians...but how about taking the caped crusader on some NEW adventures?!? Take on some creativity and design a new bad guy or girl?!? Is this something DC has control over and just won't allow? I have no clue what ownership of a character like Batman means to somebody coming in and making a movie. 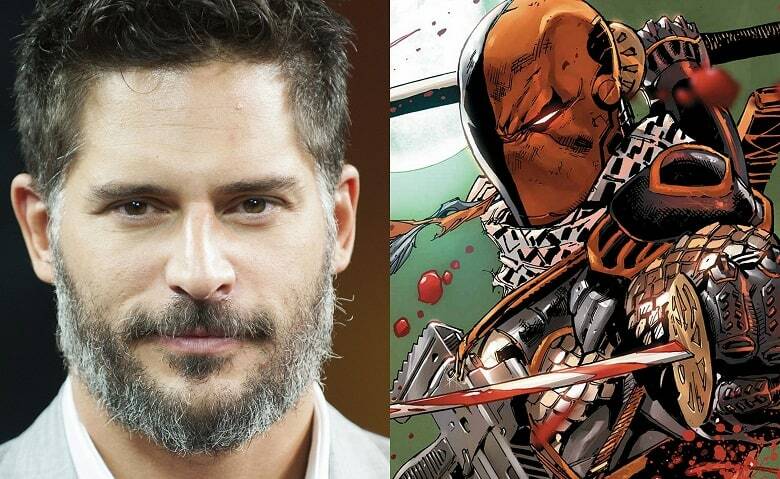 Well Deathstroke has never been in a live action film so we are getting a new villain which is great. Yeah that would be cool. I dunno BvS left a very bad taste in my mouth. Not looking forward to more DC movies at this point myself. Wonder if it would be worth bringing Azrael into the mix. Affleck no longer directing this but still producer. Not sure I feel good about this. I've really liked all of his direction. If it what he thinks is best for the film then cool. I do like the fact that since it was rumored a stand alone Batman film was coming, Affleck has done everything he could to make sure it would be worth it. From his news/interviews on the film it seems he did not want to rush it to make a deadline. He wanted to take his time on a story/script. I wonder how much the studio and the way the DC movie verse so far has been handled pushed him to this decision. Chris Terrio is helping Ben Affleck and Geoff Johns rewrite the script for The Batman. Skeptical again. He wrote Batman vs Superman.